Penrith is putting comfort back into the community with special initiatives during Homelessness Week. In an attempt to combat the cold, Penrith CBD Corporation’s Project Warmth will see a variety of donations for those sleeping rough. Penrith Local Area Command is donating their old police boots, which will be distributed via Penrith Community Kitchen later this week. ANZ bank has also donated bags for the shoes to be put into. “It’s really showing that the community cares, it makes me extremely proud, the pride and passion shown to the homeless is fantastic. I wear warm shoes every day in winter so I think that the next person has every right to as well,” said Penrith CBD Corporation CEO, Gai Hawthorn. 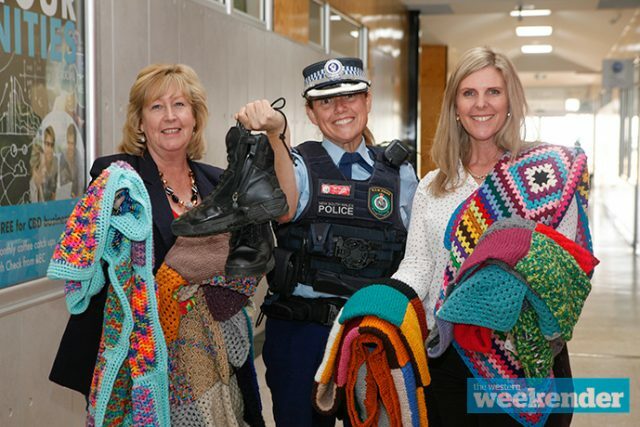 In collaboration with Mission Australia, officers from Police Area Commands and Police Districts across the state are donating their second-hand boots. Last year’s drive saw a total of 300 pairs collected across New South Wales. Running for the third consecutive year, Project Warmth is supported by a variety of local groups who all do their bit to support the homeless community. From knitted blankets to beanies and scarves, residents are getting on board to give back. CEO of The Creative Fringe, Debbie O’Connor is donating knitted blankets to the cause. In her second year of running the ‘Think Outside The Square’ initiative, Ms O’Connor holds sewing bees and has community members drop off knitted squares that are later made into larger blankets. 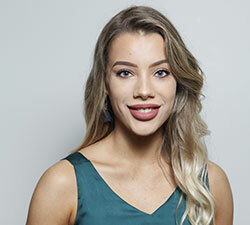 “It’s a vital part of our community, it makes people who are privileged enough to have a roof over their head actually acknowledge those who don’t and reach out to them to make a significant difference in their lives,” Ms O’Connor said. The Homelessness Week awareness campaign began on Monday, August 6 and continues until Sunday, August 12. Project Warmth initiatives will continue until the end of the month. The participating organisations thank community members for their contributions and will continue to extend this generosity for years to come.